This Silk screen print equipment,Flatbed vacuum screen print equipment,Pneumatic screen printing machine,Semi automatic silk screen printing equipment is suitable for printing on any flat surfaces of various materials such as circuit board, glass plate, metal nameplate, PVC boards, or paper. Pneumatically driven which effectively reduces noise in operation. Stainless printing table can be adjusted in 3 directions to ensure finest registration. 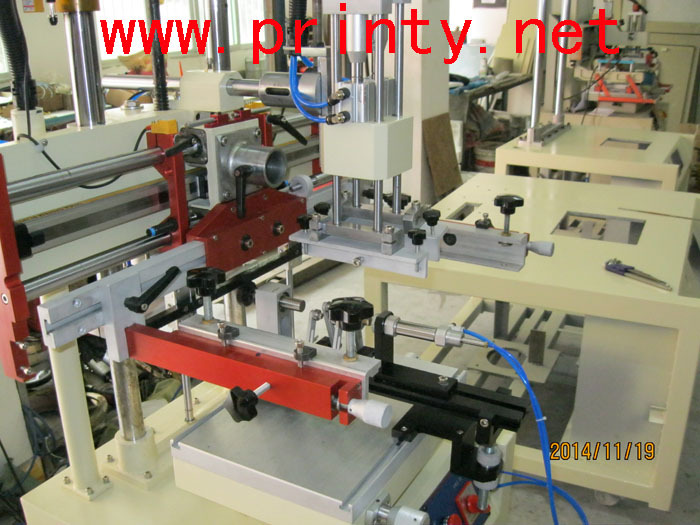 The printing table also has vacuum function to secure fixing of substrate throughout entire cycle or intermittently. Plenty spaces available for printing even very thick matters. The squeegee and flood bar can be stopped before or after printing to suit different ink natures and different printing effects. Brand-name pneumatic parts are used. Precise shafts and bearings are placed in active parts of the machine to ensure smooth and stable runs. 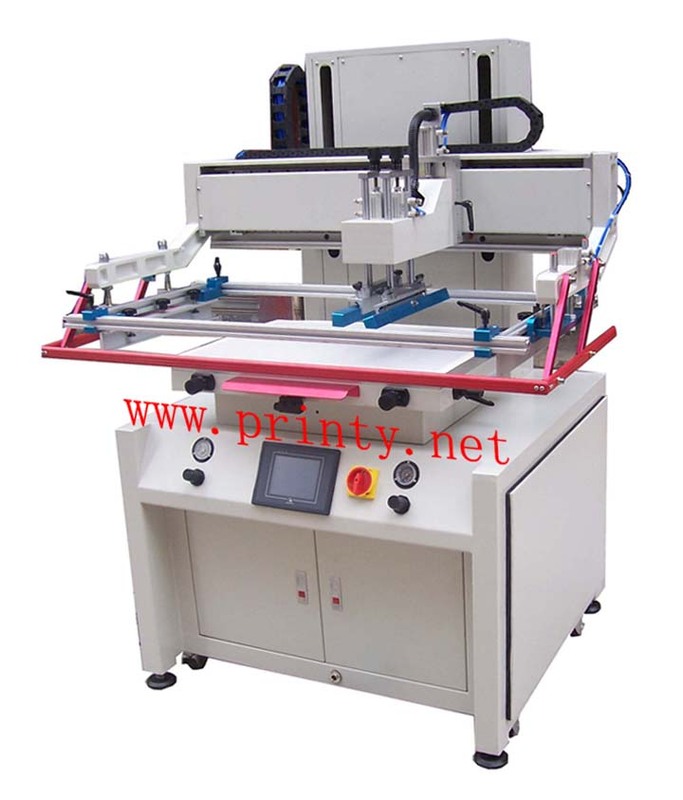 Automatic hydraulic equipment is installed to peel the screen off printed surface, which effectively avoids smear defect. Squeegee/flood bar depth, pressure, speed, leveling and stroke, etc. are all adjustable to achieve various printing effects.